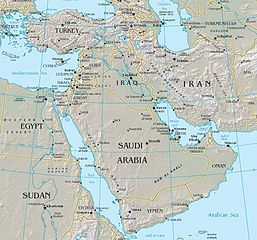 The United States has always had issues with the Middle East. For that matter, so has the rest of world. Some of the issues are due to conquering and occupying nations and their policies but a majority can be traced back to dictator egos and their need for flaunting power. The fall of the Ottoman Empire after World War I created many problems as well. The United States has had problems with that region from the beginning. Presidents George Washington, John Adams and Thomas Jefferson dealt with pirates, hostage takers and terrorist demands for ransom. This reality forced them to make difficult decisions so that the nation could build itself into a stable group of unified state governments with a federal power structure to deal with foreign policy and constitutional issues. The troubled violent Middle East history as it pertains to the United States begins with the Tripoli Pirates and continues to this day. The Brian Kilmeade and Don Yaeger book, Thomas Jefferson and the Tripoli Pirates, covers just one of the issues the United States had to solve at the start of the 19th Century. The subtitle, The Forgotten War That Changed American History, makes a point that the Tripoli Pirate issue is largely buried or glossed over in history books but remains significant concerning the rest of world’s outlook toward the then young country of the United States of America. The book tells the story about four Muslim countries extorting the United States by capturing ships and enslaving the crews until a ransom was paid by the United States government. Tripoli, Algiers, Tunis, and Morocco saw the kidnapping and ransom process as their religious right to capture vessels on the Mediterranean high seas to fill their financial coffers. 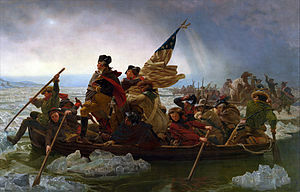 George Washington and John Adams tried to use diplomacy while they were building a Navy and a nation while paying back war debt to countries supporting the colonies’ war for independence. As a secretary of state and diplomat, and Vice President during those years, Thomas Jefferson had seen how diplomacy never worked. It was this experience dealing with the pirates that compelled Jefferson to send the US Navy’s recently built warships to the Middle East for a blockade. The Barbary Wars and the outcome sent a message to the world that the young country of the America would defend itself if needed. 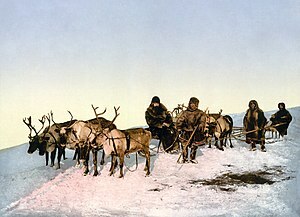 This sent the country on a journey where its elected leaders had a say on the world stage, and later used to full effect by President Teddy Roosevelt. The book does a good job of writing about the courage of the captured ships’ sailors held in prisons. It also tells the story of Lieutenant Stephen Decatur’s night raid and General William Eaton’s five hundred mile march from Egypt to the Port of Derne for a surprise attack by US Marines. 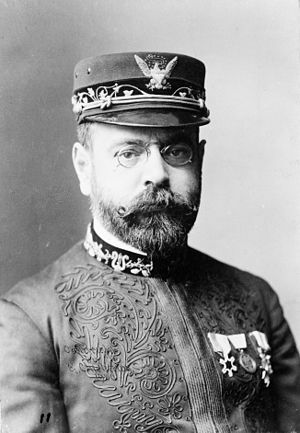 The result of this became a well-known line in the Marine Corps Hymn, “From the Halls of Montezuma to the Shores of Tripoli.” All together now! This book is worth reading because the authors describe the difficulty of beginning a new nation, building a Navy, and defending America’s prestige on the world stage while keeping government politicians contented back home. From the early 1800 Tripoli Pirates, the United States has dealt with a number of Middle East issues including, regime changes, oil embargos, Palestinian/Israeli conflicts, The Yom Kippur War, the Iraq invasion of Kuwait, the Soviet Union invasion of Afghanistan, The Iranian Revolution, government-funded terrorism, and many others. The Middle East and each administration’s malleable foreign policy that goes with dealing with this region, as well as the United Nations attitude toward Israel compared to the surrounding countries, is a nightmare that keeps coming back when you want to get a good sleep. In this case the nightmare has lasted more than a couple hundred years. 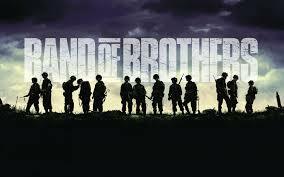 The story of Easy Company from their tough initial training through World War II’s D-Day to V-J Day. The 10 part series, based on a Stephen Ambrose book, covers the hardship and the elation of being part of a great cause. Each episode begins with an interview showing the real members of Easy Company, 506th Regiment, 101st Airborne Division. Best Line: Lt. Winters, “That night, I took time to thank God for seeing me through that day of days and prayed I would make it through D plus 1. And if, somehow, I managed to get home again, I promised God and myself that I would find a quiet piece of land someplace and spend the rest of my life in peace. 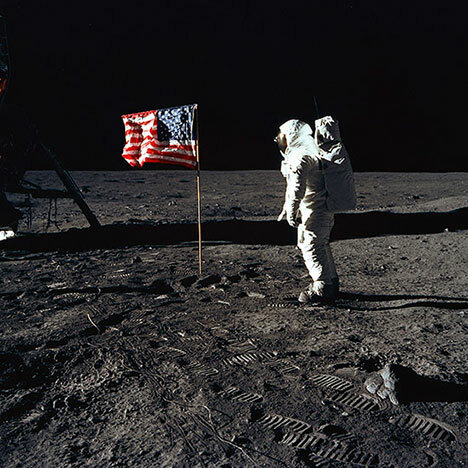 This mini-series shows the challenges, heartache and triumph of the Mercury, Gemini and Apollo space programs as they achieved the nation’s goal of sending a man to the moon and bringing him back safely. Best Line: Astronaut Frank Borman speaking about the cause of the Apollo 1 fire, “A failure of imagination. We’ve always known there was the possibility of fire in a spacecraft. But the fear was that it would happen in space, when you’re 180 miles from terra firma and the nearest fire station. That was the worry. No one ever imagined it could happen on the ground. If anyone had thought of it, the test would’ve been classified as hazardous. But it wasn’t. We just didn’t think of it. Now whose fault is that? Well, it’s North American’s fault. It’s NASA’s fault. It’s the fault of every person who ever worked on Apollo. It’s my fault. I didn’t think the test was hazardous. No one did. I wish to God we had. Barry Bostwick gives an outstanding performance of a young and ageing George Washington in this almost forgotten mini-series from 1984. It covers his early life as a young officer and his wooing of Martha Custis whom he would marry. The cast includes some of the greats: Hal Holbrook as John Adams, Patty Duke as Martha Washington, James Mason as General Braddock, Jaclyn Smith as Sally Fairfax and many more. Many actors have attempted to portray George Washington and some have succeeded but Barry Bostwick comes pretty close to getting the personality and spirit of the man. This is considered one of the best mini-series of all time. 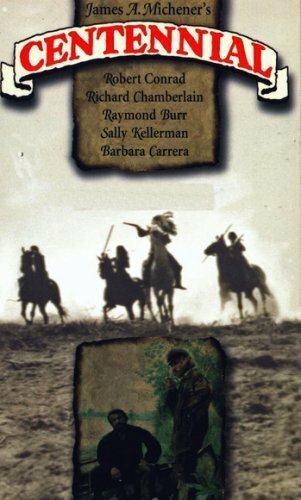 Based on the novel by James Michener, It’s on just about every one’s “best of” list. The central theme identifies the many challenges and hard ships associated with settling in the West as the concept of manifest destiny was put into practice. The cast includes just about every major actor of that era. Raymond Burr, Robert Conrad, Lynn Redgrave, Sally Kellerman, Richard Crenna and Sharon Gless and more. The story crosses two centuries and chronicles the lives of people living in and around the town of Centennial, Colorado. 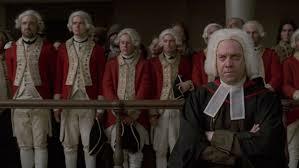 Paul Giamatti captures John Adams prickly personality as well as his determination in forging a new country. More than that, he was perfect for showing the audience how intellectually sound John Adam’s was when arguing for his clients in court or persuading the founders to adopt a course of action. The mini-series also makes a point to show how important Abigail Adams was to her husband’s success. Based on the book by David McCullough, the series makes it a point to show the hardships the John and Abigail Adams endured. Before you can succeed anywhere you have to possess a vision. These men had it with some to spare. This series points the key and fill lights on the Mount Rushmore of businessmen who built America. Each segment tells the story of giants in their field. The series tells the stories of J.P. Morgan, Cornelius Vanderbilt, John D. Rockefeller, Andrew Carnegie, and Henry Ford and how they accumulated their vast empires and wealth. More importantly, the series tells how they worked with one another or challenged each other for another’s piece of the economic pie. If you want to know how America became an economic superpower after the civil war, this is the mini-series to watch. Many of today’s business leaders talk about what it takes to be ultra-successful in the business world during the series. This series covers the friendship between two young cadets at The United States Military Academy at West Point. One is from, you guessed it, from a wealthy plantation owning family in the South and the other from a wealthy industrial and factory owning family from the North. The series tackles racism issues as well as the ideological differences among plantation owning southerners and industry building northerners. The civil war wages on and the friendship between the two main characters is tested. 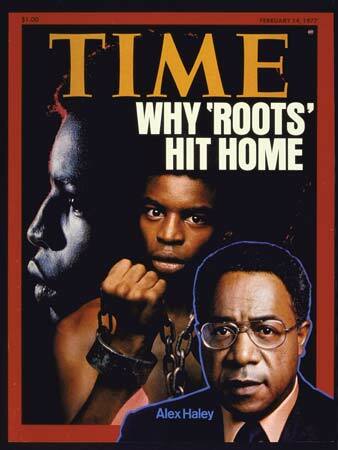 Roots is one of the most celebrated and well know mini-series since the inception of genre. It has great actors and a compelling story of slave family and slave owners. The first episodes in the series show the viewers what slave ships would have been like and how the slave trade was perpetuated by profiteers. LeVar Burton plays the lead character Kunta Kinte as we follow him from Africa to the United States. Based on the book by Alex Haley, the series shows how families were torn apart when the United States thought it was acceptable to own another human being. The all-star cast gives a bravura performance that captivated the country in 1977. Kintango, “It is impossible to kill an enemy. You may end a man’s life, but his son becomes your new enemy. A warrior respects another warrior, even he is his enemy. A warrior kills only to protect his family, or to keep from becoming a slave. We believe not in death, but in life, and there is no object more valuable than a man’s life. This is the beginning of a new category that will be part of my blog menu, “I’ll Take Potpourri, Alex.” This section of the URL universe is a place where I can write about anything I want with a slant towards history. This section will concentrate on recent, current and possibly future events. 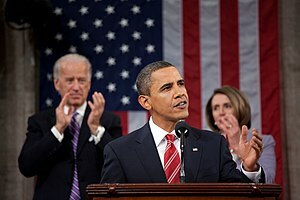 Today’s topic is the State of the Union speech with a nod to President Barack Obama’s address February 12. 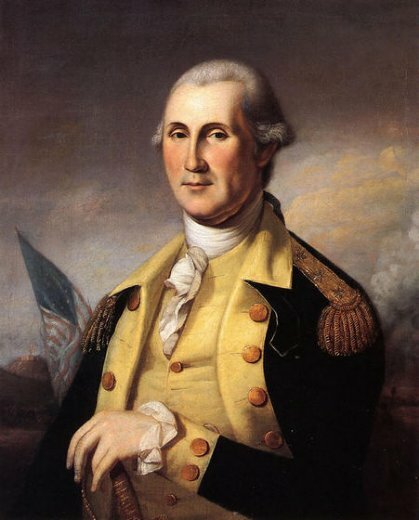 It’s a task every United States President accomplishes every year since George Washington presented his to congress in January 1790. Presidents George Washington and John Adams delivered their state of union speeches in person to Congress. President Thomas Jefferson disliked public speaking and thought giving a speech to congress came a little too close to the way British Monarch’s addressed the Parliament each year. Jefferson didn’t want to do anything that smacked of British ways plus he had a high-pitched speaking voice and a lisp that didn’t serve him well communicating before large audiences. He decided to give his state of the union address to congress in writing and have it read to congress by a clerk. This practice was kept until President Woodrow Wilson delivered his state of the union speech in 1913. The practice of presenting the speech in written form through the years had the result of reducing the president’s influence in legislative matters. With radio, and later television, giving the President a new avenue for a bully pulpit reaching millions, delivering the speech in person made sense so that more influence could be exerted directly and indirectly through constituents. 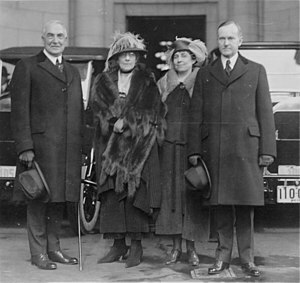 President Calvin Coolidge’s State of the Union address was the first to be broadcast by radio in 1923. President Dwight D. Eisenhower’s address was the first to be aired on television in 1953. 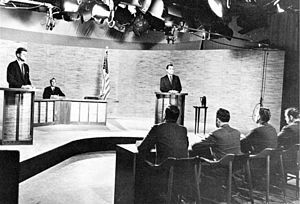 By the 1960s, the address was moved to prime time television. 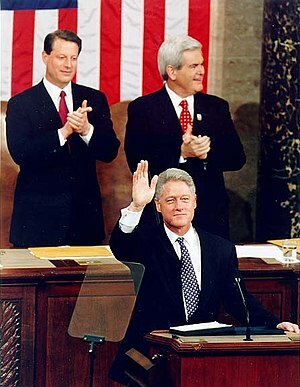 Two recent presidents come to mind I believe thoroughly enjoyed giving the state of the union speech. They are Presidents Ronald Wilson Reagan and William Jefferson Clinton. They just seem to relish the whole spectacle and ritual of being announced, walking down the aisle, shaking hands, and standing before the whole Congressional branch, with representatives from the Judicial Branch and the Pentagon, and constituents in the balcony, knowing that they were the big dogs in that neighborhood. You could see it in their eyes—they loved it! Besides the election, it’s the Super Bowl and World Series all wrapped up in one event for the President. The address is his chance to be and look Presidential. The speech is his chance to form a consensus while outlining his legislative priorities he believes will make the United States a better nation. The sitting on the hands routine is what makes America unique. We can disagree impolitely, as in a bar fight, or politely, as in sitting and staring, refusing to acknowledge the brilliance of a statement when others around you are cheering wildly.